The essence of a celebration! 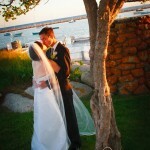 Eastern Point Yacht Club wedding, Gloucester MA. Sushma and Josh’s Spectacular Wedding at OceanCliff, Newport Rhode Island! Marina and Payden’s beautiful wedding at the Connor’s Center in Dover.